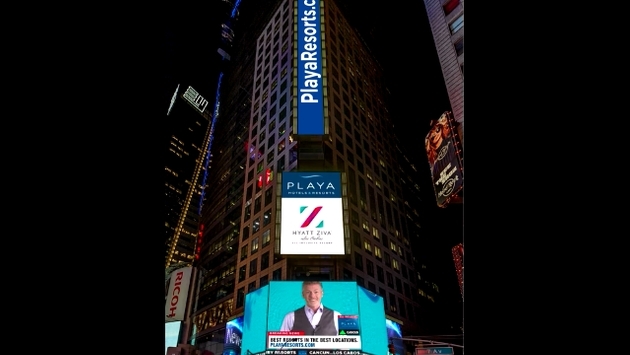 If you look up at the jumbo TV screens at the heart of Times Square this week, you will see a familiar face helping Playa Resorts celebrate the company's remarkable growth. In what is being described as a coming-out party for one of the fastest growing companies in the travel industry, Playa is launching a special advertising campaign in the heart of the city that never sleeps. Our own Mark Murphy makes a cameo appearance in the campaign, playing the newscaster that motions like Wolf Blitzer announcing breaking news. The sunglasses-clad Murphy gives way to a video montage of the best of Playa Resorts. Playa's brand logos are featured, as well as a call to action to win prizes at playaresorts.com/win. The unique branding campaign will run every hour on the uber screens from Nov. 21-27 in Times Square. There will be no audio with the video, but the visuals are the star – instantly transporting you from the cold of winter to a tropical Playa resort locale. Check out what the display will look like. 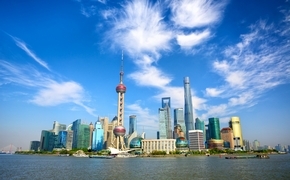 This is just the latest in travel advertisers stepping into the mainstream, though certainly one of the most unique spots in recent history.